With each passing day internet blogs, forums and social networking sites are becoming more and more popular owing to their unique ability to bring the world closer and as prospering platform for online marketing. 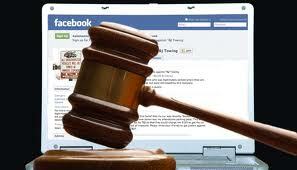 But along with this another worrisome development about this open platform is the use of social media for defamation. In simple terms defamation means falsely and harmfully insulting someone’s reputation, character or honour, either by spoken or written words. ‘Slander’ is usually spoken defamation. Messenger, Blogs, Twitter, Facebook, Digg, LinkedIn, Tumbler, YouTube and more are all essential components of a gigantic plethora of online networking process which are all the frenzy in the present times. Most internet users have accounts / profiles with one or more of these social media sites, but not all are aware about certain legal insinuations that come along with the use of these sites. The complexity further increases owing to the fact that currently there exists no separate social media regulation overriding these social media sites. Social media networks or blogs in which defamatory accounts are written or documented offer numerous possible means of legal responsibility and recuperation for the individual whose character was maligned. In situations whereby the defamation is established, damages are apparent and often imposed with liberality. Different authorities use different regulations to what is considered as defamation as well as to what is held as the legal responsibility of the parties concerned. Because of the global character of the World Wide Web, it is significant to at least categorize the lowest common factor which is pertain to the jurisdiction of most countries of the world, in order to handle cases related to online defamation. For instance, tweeting or commenting that a person known to you is involved in sexual harassment, in such a scenario when no such allegation has been confirmed it would be regarded as libellous. But it is safe to tweet that the person in question has been convicted by the court of law for sexual harassment. Every individual is allowed to put forward their opinions, but it is important to differentiate between judgment and fact. If you do not have any facts to testify your comment than it is ideal to start the comment by writing “in my opinion”, this ensures that you are only putting forward your idea without making any personal attacks on any individual. Stating ones opinion is fine but name-calling is equal to character assassination and therefore, has to be avoided at all cost . When an important topic is being discussed it is 100% guaranteed that when facts are revealed to the people they will come to more or else same conclusion you already arrived at. So you do not need to expose yourself to defamation battle. Always remember that regardless where the defamatory originated, anyone repeating the same matter is equally liable as the first initiator.